It was dull and raining today and I sat looking at nice things on the laptop to cheer myself up. My first ‘nice’ selection was some photographs from last summer. Who has seen this fantastic magazine ‘The Simple Things’? I remember I enjoyed this particular issue and I took a photo of it as I sunbathed in my garden.The mag is an absolute delight! It reminds us to celebrate and enjoy just that ‘The Simple Things’. In August there were photos of lavender filled gardens, shells and beaches, just my kind of thing. The sun was shining and I was in the countryside, yet just 15 mins drive away from a beach, ready to take a wander along the shore a little later, dipping my toes in the water and feeling the sand warm from the days rays. Is life too busy now so most people don’t enjoy simple things? I think it is and that is so sad. So much of life is missed out on. I think we need to all take five, or ten, look around us, take a breather, sit and think, enjoy something for it’s own sake not be entertained by technology or have something thrust upon us that needs immediate attention. 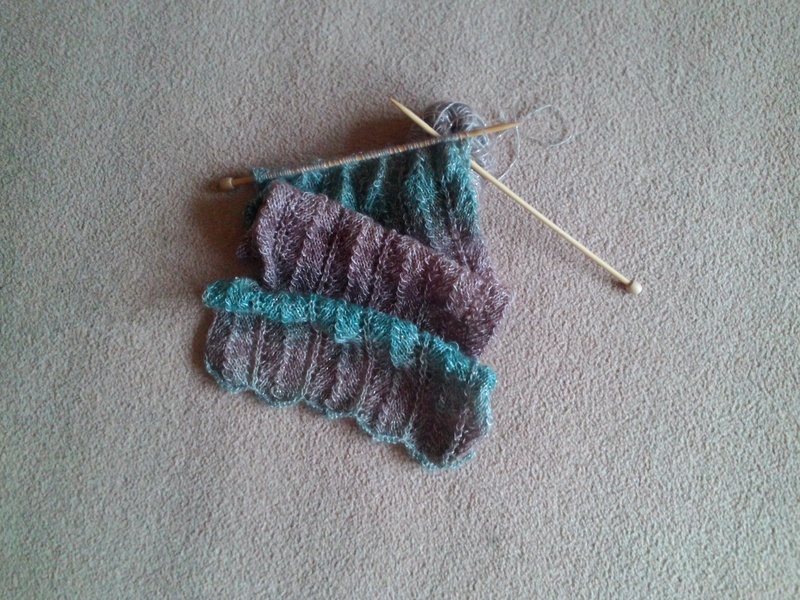 One big thing that makes me content is time spent just knitting. 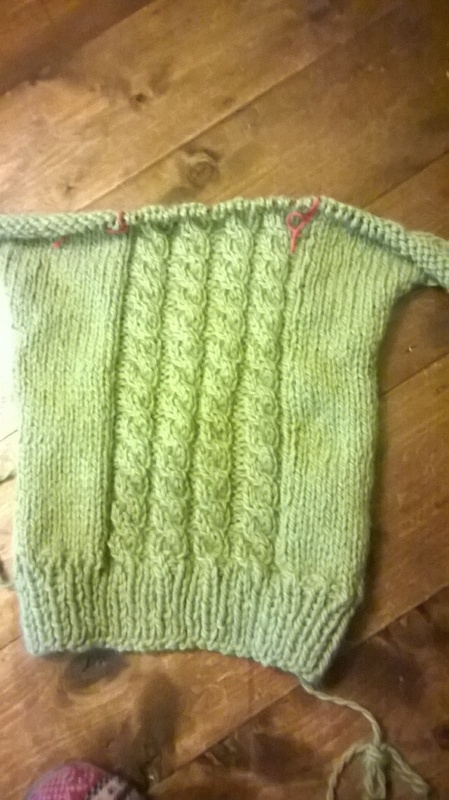 Often I have music or tv on in the background but I recently sat in silence with stitches gathering on the needles, garment slowly growing (and it was slow, a fiddly lace pattern). 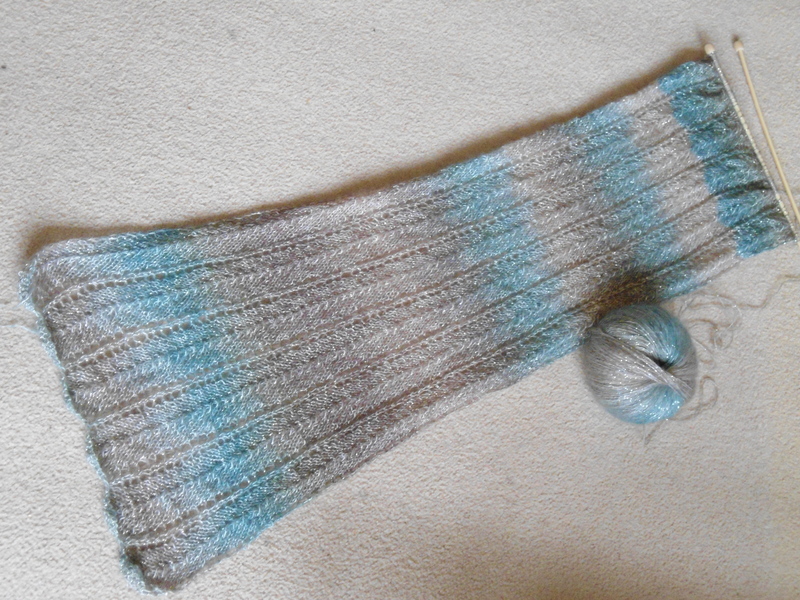 I knitted to gain pleasure, with the action of knitting itself and the hope that when my item was finished I think it will be appreciated by someone else. The world seemed to stop around me, peace, quiet, it gave me time to contemplate. I didn’t sit for too long, perhaps thirty minutes, but you could say I got more out of those thirty minutes than I had for the rest of that whole day, perhaps the whole week. Some people meditate, some do yoga, some exercise, however you do it, don’t forget to jump off the whirling world sometimes and ‘Take time to live’ (as it says on front of the book). This entry was posted in Uncategorized and tagged knit, knitting, lace, needles, peace, Stitches, summer, The Simple Things.